After a couple of slow months Saudi Arabia has seen an uptick in MERS cases this month, with 20 cases reported during February. Today the World Health Organization updates us on the first 6 cases of the month, 3 of which were fatal. Of these cases, two appear to have had camel contact, three have no known risk exposures, and one is a contact of a laboratory confirmed MERS case (#6 below). Since the cut off date (Feb 16th) for this report we've seen 14 new cases, including three cases that appear to be linked from Riyadh. We'll have to wait for the next WHO update to learn if any of those three are linked to the two cases (#4 & #6) in today's report. Between 1 and 16 February 2016, the National IHR Focal Point for the Kingdom of Saudi Arabia notified WHO of 6 additional cases of Middle East respiratory syndrome coronavirus (MERS-CoV) infection, including 3 deaths. An 80-year-old male from Alkharj city developed symptoms on 6 February and, on 13 February, was admitted to hospital. 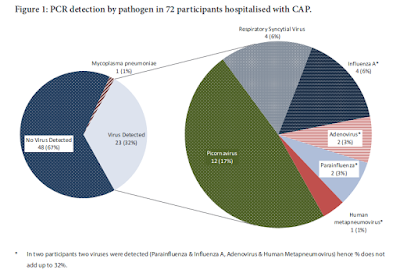 The patient, who had comorbidities, tested positive for MERS-CoV on 14 February. He passed away on 16 February. Investigation of history of exposure to the known risk factors in the 14 days prior to the onset of symptoms is ongoing. A 75-year-old male from Alkharj city developed symptoms on 8 February and, on 10 February, was admitted to hospital. The patient, who had comorbidities, tested positive for MERS-CoV on 12 February and, on the same day, passed away. He had a history of frequent contact with camels and consumption of their raw milk. The patient had no history of exposure to other known risk factors in the 14 days prior to the onset of symptoms. The Ministry of Agriculture was notified and is now conducting investigations. A 34-year-old male from Najran city developed symptoms on 1 February and, on 10 February, was admitted to hospital. 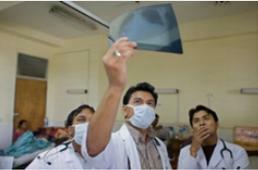 The patient, who had no comorbidities, tested positive for MERS-CoV on 11 February and, on the same day, passed away. Investigations showed no clear history of exposure to the known risk factors in the 14 days prior to the onset of symptoms. A 41-year-old male from Alkharj city developed symptoms on 3 February and, on 10 February, was admitted to hospital. The patient, who has no comorbidities, tested positive for MERS-CoV on 11 February. Currently, he is in stable condition in a negative pressure isolation room in a ward. The patient has a history of contact with a laboratory-confirmed MERS-CoV patient (see below – case no. 6). He has no history of exposure to other risk factors in the 14 days prior to the onset of symptoms. A 78-year-old male from Taif city developed symptoms on 31 January and, on 2 February, was admitted to hospital. The patient, who has comorbidities, tested positive for MERS-CoV on 3 February. Currently, he is in stable condition in a negative pressure isolation room. The patient has a history of consumption of raw camel milk in the 14 days prior to the onset of symptoms. He has no history of exposure to other known risk factors in the 14 days prior to the onset of symptoms. The Ministry of Agriculture was notified and is now conducting investigations. A 43-year-old, non-national male from Riyadh city developed symptoms on 21 January. On 31 January, he was admitted to hospital and, on the same day, tested positive for MERS-CoV . Currently, the patient, who has no comorbidities, is in stable condition in home isolation. Investigations showed no clear history of exposure to the known risk factors in the 14 days prior to the onset of symptoms. Globally, since September 2012, WHO has been notified of 1,644 laboratory-confirmed cases of infection with MERS-CoV, including at least 590 related deaths.